Doctor Who: BBC New Series Adventures - The Deviant Strain | Warped Factor - Words in the Key of Geek. And even those who remember the similar man the Doctor would become two incarnations on from trying out the leathered-up tough guy look here will recognise the sort of set-up we're dealing with from Cold War! Namely an alien nasty using a Soviet naval base as a handy home from home to spread its particular brand of spite towards the human race. The title of the book should give away the nature of the beast. Something implied to be almost from the dawn of time itself has awakened, and its hungry for death! The Doctor & Rose have by now welcomed another fellow traveller into the TARDIS in the shape of former Time Agent & con- man Captain Jack Harkness in line with his then- recent first appearance in The Empty Child. Remember him bursting into proceedings having taken on the credentials of the real ( & now dead) Captain Harkness? ALGY: Jack? Are you going down to the shelter? Only I've got to go off on some silly guard duty. Ah, barrage balloon, eh? Must've come loose. Happens now and then. Don't you RAF boys use them for target practice? ALGY: I say, old man, there's a time and a place. Look, you should really be off. JACK: Sorry, old man. I've got to go meet a girl. But you've got an excellent bottom too. Of course, eventually the Time Lord & the Captain will meet. JACK: And it's a real pleasure to meet you, Mister Spock. ROSE: What was I supposed to say? You don't have a name. Don't you ever get tired of Doctor? Doctor who? 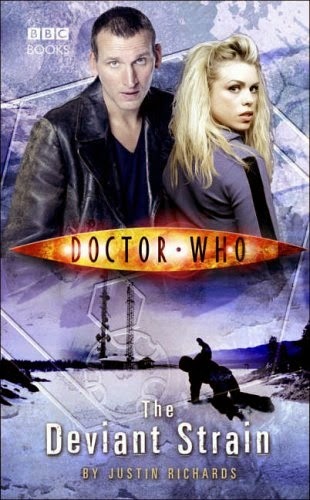 Some trace of Jack's mercenary nature is apparent in The Deviant Strain, though this will be ironed out over the course of his travels with the Doctor- including the last two of the Ninth's novels- Only Human ( reprinted as his entry in the set of eleven 50th anniversary reprints)- & The Stealers Of Dreams. Justin Richards gives Jack a good bit of depth, impressive writing when you consider that the 90% of the characters charm comes from the John Barrowman's charisma. Indeed it is Jack who manages to hold the majority of the action together when The Doctor gets on with investigating. This is a darker tale that Richards previous novel, The Clockwise Man, and has something of spooky atmosphere to it. Fitting for such a tale that comes complete with some shocking twists. 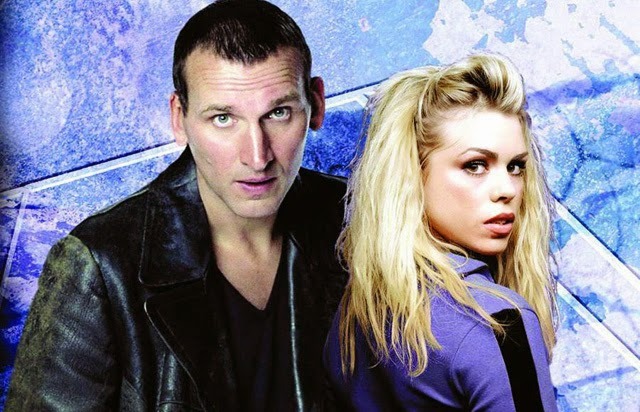 If The Unquiet Dead was your favourite Ninth Doctor episode then you'll be right at home with this. Only Human is our next stop!